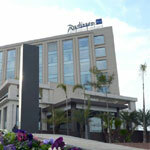 Radisson Blu Radisson Square, Narwal Bala, Bypass Road, Jammu. 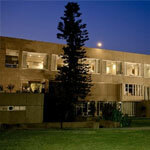 Ramada Jammu City Centre is a smooth 10 minute drive from the Jammu Civil Enclave ( Jammu Airport ) which makes it a breeze travelling from the airport to the hotel and back. 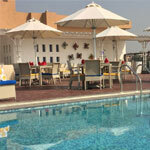 Fortune Inn Riviera Hotel is located at Jammu, Winter Capital of State of Jammu and Kashmir. 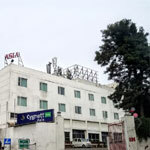 Cygnett Park Asia This beautifully styled hotel - strategically located close to the airport and the rich religious and picturesque sites in Jammu - offers spacious comfort along with Cygnett's unique, rich and hospitable Cygnetture service. 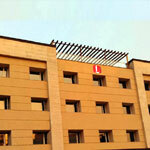 Hotel Grand Plaza Lords inn, Jammu is near the bus stand and very close to major pilgrimage and tourists destinations. 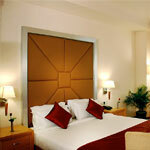 Hotel Jammu Ashok. 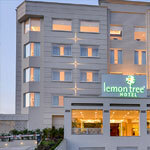 Modern and comfortable, it is a perfect setting for the discovery of Jammu , the winter capital of the past rulers of Kashmir and its present-day government. 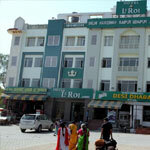 Also a convenient base for pilgrimage to Shri Mata Vaishno Devi Shrine. Vaishnodevitemple.com Associate off Nirvana India Enterprise is not the official website of any temple. We are not representing any temple or trust or any associate of the Official Temple .This is a private and commercial site and has no link, relationship to Vaishnodevitemple trust.